The 3G iPhone will be costing Apple around $173 (£88) per handset to make according to analysts iSuppli, who admit they have rushed out the data because of the interest in the phone. iSuppli Corp has worked its magic to come up with their projected Bill of Materials (BOM) for the 3G iPhone – calculating the cost of the components and estimating the costs involved in making a product. This is normally done when the analysts can actually open up the device and check its innards, but iSuppli explains: "iSuppli had planned to withhold any analysis of iPhone content and costs until it had conducted an actual physical teardown of the product. "However, due to strong popular demand for information on iPhone costs and pricing, iSuppli has decided to release a preliminary analysis to the public." The estimated cost of $173 is "significantly less expensive to produce than the first generation product despite major improvements in the product's functionality and unique usability, due to the addition of 3G communications," said Dr. Jagdish Rebello, director and principal analyst for iSuppli. Apple's entire business model has changed for the 3G iPhone, and the way in which they make their money has shifted from a percentage of the carrier's subscription revenue to a subsidy lump sum. "However, at a retail price of $199 for the low-end 8Gbyte version of the new 3G model, wireless communications service carriers will be selling the product at a subsidized rate, using a common business model for the mobile-handset market," adds the report. 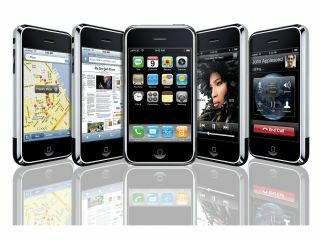 "The size of the subsidy paid by the wireless carriers to Apple will be about $300 per iPhone, iSuppli estimates. "This means that with subsidies from carriers, Apple will be selling the 8Mbyte version of the second-generation iPhone to carriers at an effective price of about $499 per unit, the same as the original product." In other words, Apple's profit margin won't change, but the amount of iPhones being sold could go through the roof. ISuppli will re-calculate their figures when they actually get hold of the phone, but in the mean-time it's looking like Apple's bank accounts will be far from unhealthy come release day next month.